Okay, remember the Price Pfister free parts for life deal? The last tub repair reminded me that my kitchen faucet was a little squeaky and the hand piece had a mind of its own when switching from shower to aeration mode. PF has a parts for life warranty. You just need to call their 1 800 number and give them the part number and say you bought the faucet and approximately when you bought it. 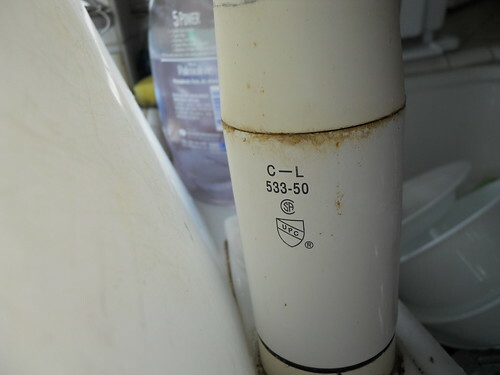 Part number in the kitchen faucet case is on the back of the faucet. Ooooh nobody washes back there. Call to nice people at PF. I looked at the parts diagram online first. Looks like I need a cartridge and a new handpiece with included valves. Talk nicely to the man. Yeah I bought it. Yeah four years ago. I think it needs a new handpiece and cartridge. Here's my address. In seven to ten days this shows up free post free parts. Take the thing apart using the videos from YouTube/PF. New and old cartriges. Both work but first one is squeaky and stiff. Since I use this several times a day I need it to work very well. Put it all back together. 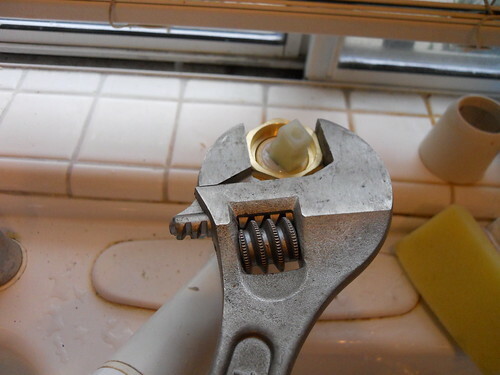 Hey, the nice man even gave me a new retainer nut. Good because I ruined the old plastic one while removing it. Nice guy. Faucet works. Money saved. Plumber dodged. DW , who's the resident plumber, has done 4 cartridge replacements over the years: kitchen(2), bathroom(1)(*), shower(1). She uses youtube. IIRC, in one of the pics above, you showed a cartridge with a worn out washer with groove carved into it. Just replacing that washer might save the situation. (*) That one was a little hairy because of course the armature had been walled in (unnecessarily so) by tiles and mud AFTER it was originally installed, but cutting the hole a little larger, the whole thing came out from the front using a single wrench. -I ordered parts from Texas and Alabama, and had them shipped to Florida to keep a mower from 1984 in service for another 25 years, and saved significant money in the process compared to buying a new one. Was this repair as good for the environment as it was for my pocketbook, or would it have been better to get a new unit with better emissions technology? In automobile terms, my mower is one of the pre-emissions dinosaurs, belching smog wherever it goes. Units built after 2007 should have about 60% less pollution. Living in the sub-tropical zone of Florida means I use a lawnmower at our house during the growing season. About 8 years ago I decided that buying an old, commercial grade unit made sense because it was designed/manufactured to be repaired instead of discarded.I chose Honda because they continue to make parts (gaskets, bearings, or entire rebuild kits) that are required to service these machines. 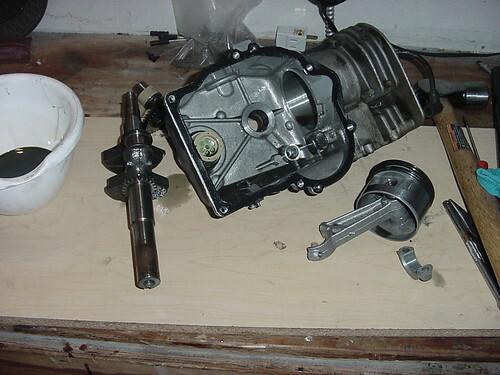 I rebuilt the engine about 6 years ago, and the transmission stopped functioning at the end of last summer. This repair was more difficult because there were no youtube videos, blog posts, etc that describe the symptoms I had. 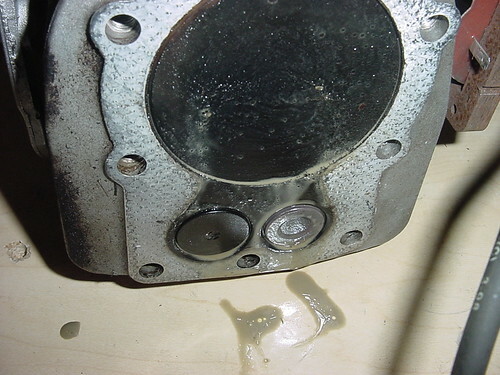 As it turns out, the mechanism was really simple and the issue was caused by diluted/worn out gear oil. After 25+ years one of the gaskets had worn out so the remaining gear oil was low, thin, and mixed with water in the transmission case. I replaced all the gaskets, filled the transmission with new gear oil and was back in business. Alright everybody, I need a problem solved and questions answered. The other day I had to disconnect a 220 circuit in a house I am remodeling and I came across something I have never seen before in a panel box. I don't know what this thing is but I do know its wired out of code. Notice it is tied directly to the hot legs coming into the house? That's a big no-no. It's the thing on the left just hanging. At a wild guess, I'd think a whole-house lightning suppressor. Probably has markings on the side we can't see? I'll have to see if there are any markings on it the next time I'm up there. If it's a surge protector than it seems kind of small and normally they are run through a breaker first, but who knows. But you are probably right in some capacity with the guess, I just need to confirm. The plumbing pictures reminded me. I like to flush the water heater every spring. My electric heater is ten years old and still going strong despite our hard water and old pipes. 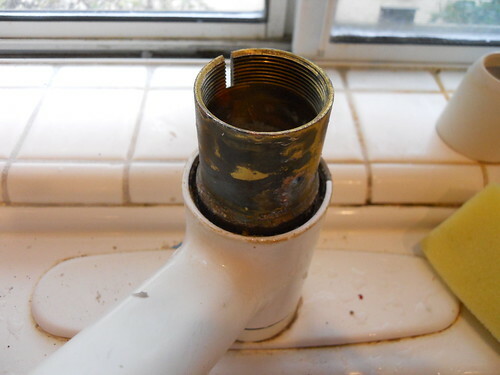 This time, the old pipes and debris loosened to plug the modern shower mixing valve. 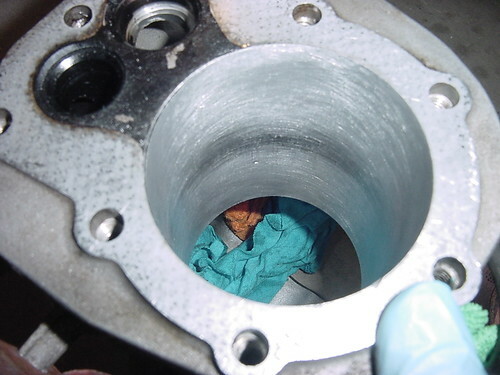 Upon disassembling, found that there are tiny quarter inch check valves with screen strainers on the inlets. The cold inlet was fine, but hot inlet plugged with debris. 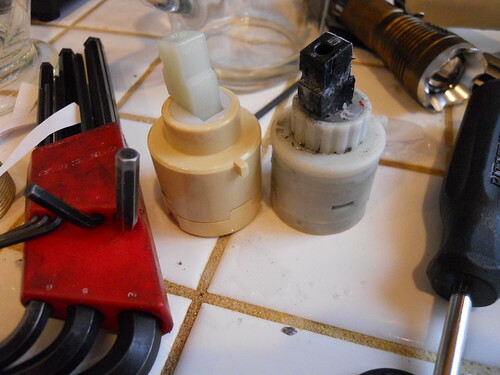 I simply removed the hot side check valve assembly altogether. Shower works better than ever. Front loader washing machine bearings died. New bearings were about $15 with new seals too. Used my automotive bearing puller, press kit $70, to replace bearings and seals. About four hours job. Wish I would have done it same time as springs and shock absorbers. 92 celica front wheel bearing. Unfortunately, had to replace the spindle too $55. Bearings and seals $50. Bearing tool kit $70. Four hours job. Huh. Did you break the spindle trying to get the bearing out? I think my Honda bearings are more than that, unless I never have to replace them. @enigma - The outer half of the wheel bearing undercut the spindle. Dealer wanted $200 for a replacement spindle. Found the aftermarket spindle from a machine shop in CA $55.I didn't price bearing or seals at dealer. I bought Timken and National brands, since I am very confident in their quality. I am not as sure of the quality of Chinese bearings that I put in my washing machine. I searched for hours for a brand name replacement bearings and seals, but my washing machine must be too old or unpopular? I inspected the replacement parts before putting them in and they appear to be of high quality. It helps immensely if they are installed properly with a press tool and ample oil and techniques. 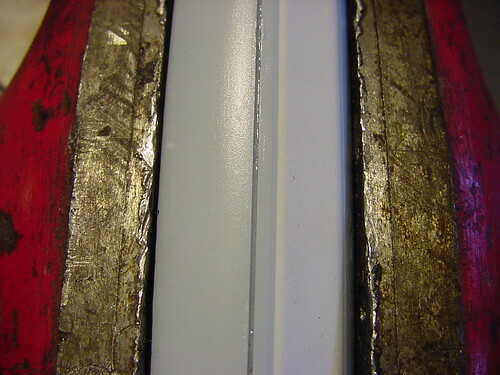 Many high quality bearings are damaged during installation by impatient hammer mechanics. I plan to give good review after running longer than six months. That’s Scotty Kilmers favorite inexpensive car. I had an 88 Celica. That car outlasted my desire to keep it. Some of the bearing tools are available free rental from Autozone. I repacked my Mercedes fronts a couple of months ago. I really wanted the seal drivers but I made do with a block of wood. Edit - just looked at some annular bearing presses online. Nice tool. Not free rented at Autozone. Aren’t Timken made in China now? @sclass - It wouldn't surprise me if timken is made in China. The box it came in said USA, as well as the national brand seals. I hope that they continue their brand quality no matter where they are made. Some companies protect their brand image vehemently, but others seem to forget all of their insistence on quality for different words describing greed. I think the internet has made it harder for manufacturers to cut corners without word getting out. I have bias for brand names that I have had experience with, but there have been instances where I have been disappointed. In my 25 year manufacturing career, I've installed a lot of Timken bearings and don't know of a single defect. I've gone to a couple of their dealer sponsored classes and have been impressed with their emphasis on quality and details. Did a front wheel alignment (toe and camber) on my car today. I noticed my tires had a little bit of wear on the inner edge of the tire. I had aligned my car a year ago but I guess I've been a slob bumping into curbs and parking space barriers at the super market. I had about 1/8" of toe out. My two favorite precision tools for doing this are my cheap tape measure. 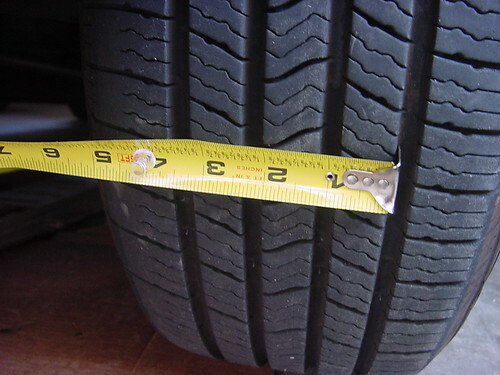 I can get really good toe measurements alone if I use a thumb tack to tack the tape measure (through a tiny hole I drill in it) to the tire with a push pin. 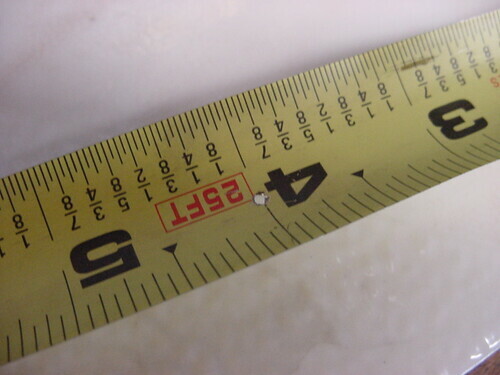 Once I have a good stationary datum I can measure the toe across the vehicle with about +/- 1/16". 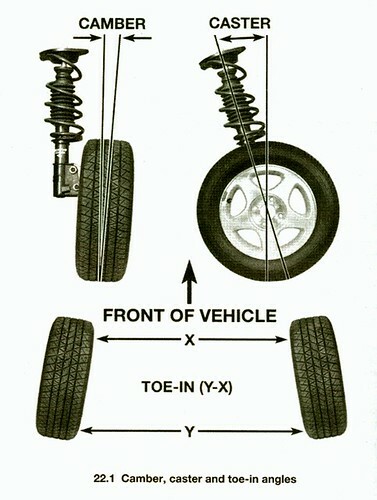 Just measure tread groove to tread groove on the leading face of the tire and the trailing face then subtract. Then I just adjust the tie rods. 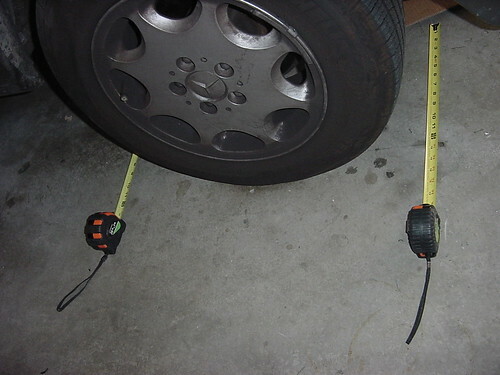 Tack right through the tape measure like this to secure the tape to the tire tread. 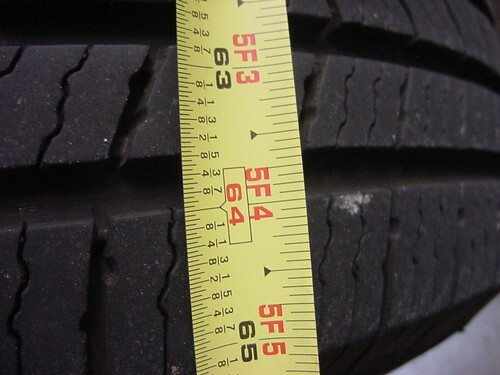 Make sure you have a thick tread or you may have more than alignment to fix! The camber angle is measured using a special straight edge that I brace to the diameter of the wheel. I measure the angle of the face of the wheel w.r.t. 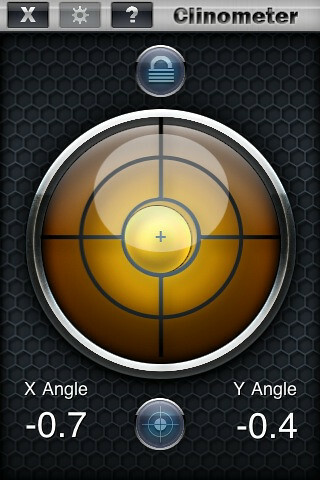 vertical with an iphone apps Bubble Level or Clinometer. Seems to work. The resolution on the display is 0.1 degree. I think it is pretty good because the measurement is very repeatable. Drift isn't as bad a problem as it used to be with these semiconductor gyro devices. I got in a big argument with some optics metrology guys at Hewlett Packard back in the day that this job was impossible without the precision optical tools at the tire shop. People from their interferometer division. Phooey. Amateur racers align their cars trackside like this all day long...especially if they have to drive their cars to the track via city streets. 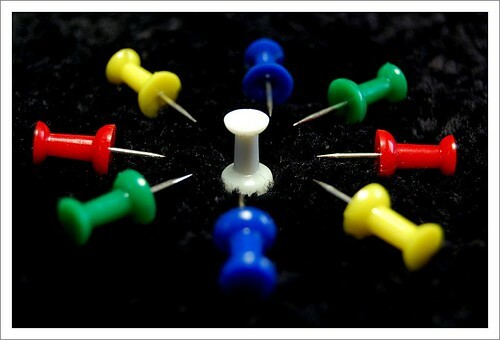 After watching a few people do it I put my twist of the thumb tack and the iphone app in as I went. It takes a little longer and I have to check my work when I'm all done after a test drive, so it is more time consuming than taking it to the shop. But I don't have to listen to the idiot service manager trying to tell me that I need new sway bar bushings, ball joints, upper control arms, struts etc. when I know I don't (because I already replaced them myself). Saves a few bucks but really it saves me from dealing with the trade school grads turning the wheel adjustment screws on my car. Half of the time they say it is out of range and they cannot do it, or they make it worse which I verify by driving and DIY measurement. edit - some images of my specific tool kit for toe measurement. drill hole in tape measures to tack it to tire. Push pin tape measure to tire. I'm trying to measure from groove to groove on each the leading face of the tire and trailing face of the tire. Measure to the other tire. Pick a groove and surface. I like the groove surface at 64". Just be consistent. Use two Harbor Freight Tools tapes for convenience and subtract the numbers. The tapes are free with coupon. As for accuracy and precision, well, it isn't a laser, but I measured it again today since it only takes ten minutes. Still the same. Last edited by Sclass on Mon Apr 23, 2018 8:19 pm, edited 1 time in total. Other than my half of our house, my excalibur scroll saw is the most expensive thing I own (not sure our car is worth this much anymore). This is unfortunate, because it's my version of a 3D printer. I use it to cut all kinds of intricate parts out of all kinds of weird material(*) for this and that ... but 95% of the use is for making presents, etc. Still, the remaining 5% has saved me a bunch of monies. 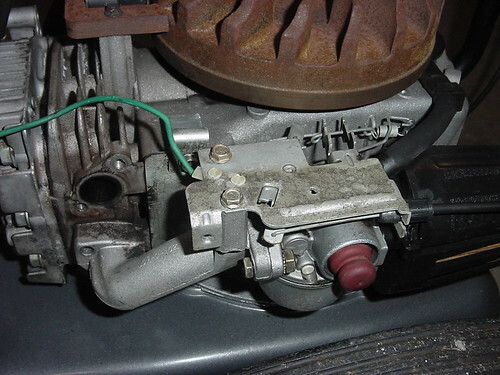 There's a rocker switch at the front of the arm (see link above) that is used to switch it on an off. I don't have a foot switch. When doing fret-work the rocker switch might be used 50-200 times for a single piece. I did notice it failing to switch on once or twice shortly before it failed permanently (it's good to pay attention), so I figured that the problem was likely the switch getting gunked up. After all, it has been used thousands of times. The internet gave me very little to go on other than the fact that it might be the switch but more likely the fuse. 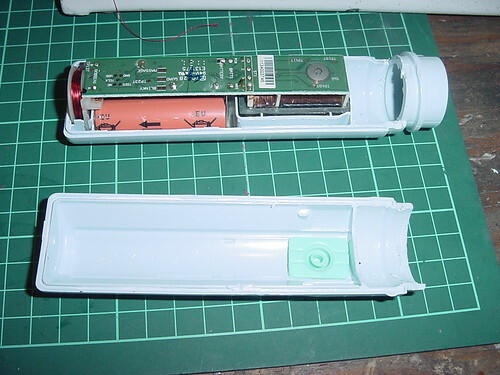 I finally managed to locate the fuse (cleverly hidden underneath/behind where the power cord goes in. I checked the fuse with my multimeter. All good. I found the manual. Since this is a pro/semi-pro machine the manual came with exploded diagrams showing all the part numbers. It was not immediately clear how to get to the switch. However, the diagram showed that some of the bolts are actually spares (THANK YOU!) and which ones were likely holding it together. Five hex screws later, I had the plastic cover of the upper arm off. The speed control is a potmeter (no surprise) and the switch is a basic switch (no surprise). Very conveniently, it was not soldered together but could be pulled off as the cables going back to the controller board were crimped onto the legs. Having pulled the switch out and tested it with the multimeter it was confirmed to be if not the whole problem then at least part of the problem (it's conceivable that the controller board would have been wrecked too?!). I looked the part number from the actual part up on ebay. Bingo! The actual part! I ordered 1 then 10 more from two different suppliers in China (hedging my bets) for $8 shipping included. Where would we be without Chinese internet entrepreneurs? Since China-mail is slow and because I was desperate, I started inspecting the @#$@#$ switch some more. And saw a tiny hole underneath the switch where I might be able to blow in some compressed air. I always keep one or more cans of this stuff around. Most useful aerosol ever. This was after much blowing from the top and into the switch to no effect. ("That's what she said yesterday!?") 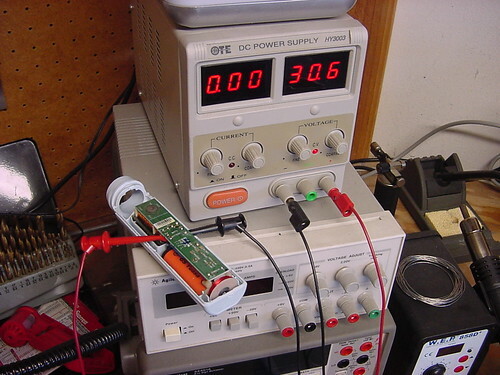 However, checking with the multimeter (lowest setting measuring resistance) again, the switch appeared to be working again, so I reinstalled it. And success! The saw runs again. Oh Cool. Wait, you bought 10 switches at $8 or at $0.80? My neighbor was selling one of these scroll saws at a yard sale yesterday. Not as fancy as yours. It was Dremel brand. I was really tempted to buy it because he was selling stuff really cheap. But I've never used one before and I was afraid it would take up space as I didn't use it. I'll have to rethink it because I make a lot of little parts from wood and plastic too. Glad you got it fixed for free. A few bucks of Chinese switches in a junk box may come in handy later. My fix today is a Sonicaire toothbrush. I bought a big family pack because they were cheap per unit but I stored the unused ones in a drawer for years. SO said hers finally got anemic after using it several years and I broke out the new ones in the drawer. One didn't take a charge. Argh! and it was new! If I had just charged it once a year it probably would have lasted. I figured I had a small crystal growing between the anode and cathode in its nicad battery. This is pretty common on these things. They'll short the battery internally and it cannot take a charge. I remember an old telcom sat engineer explaining the concept to me when I was a teenager. The good news is you can burn the short open with 12V across the cell. I had two cells in series so I cranked up my supply to 30V. I figured the brush was dead anyway so what did I have to lose. I had to crack it open by prying at its seams with a screwdriver. It was ultrasonic welded together (rubbed furiously at the interface till the plastic melts together) so it really had to be destructively cut and pried. Then I hooked the + and - terminals to the 30V supply. Basically I "jumped" it. The status led started blinking. I put the mess in the charger and it took a charge overnight. Yay! 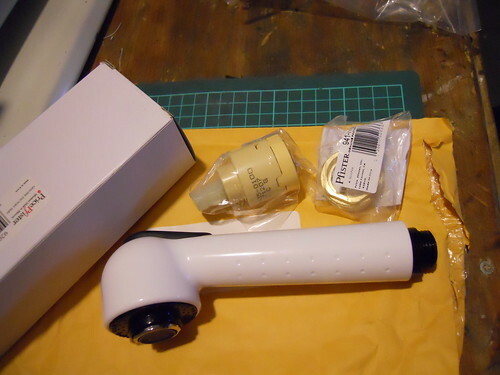 Now I just need to put it back together and seal it so my toothpaste and drool don't short out the innards. I sealed the seam up with bath silicone. Clamped it in a vice. Then wiped up the excess glue. I think I have a fix here. I'll know more when I try to brush my teeth tomorrow. After fixing/modding my headphones that were held together with hot glue, I've really come to appreciate the concept. You put a few beads/lines on the inside rim with the glue gun and then use a hairdryer (close and high) to melt the glue. When you want to disassemble, you just use the hairdryer again. This past weekend, I finally got around to changing the oil on our sedan. It's been sitting all winter so I had to charge up the battery too (putting a battery tender on it next winter). The sedan is a newer Toyota and it has a canister oil filter. This is the first time I've changed one of those. I bought a special tool at the parts store for about $12. Getting the canister of the first time was a bit of a bear but luckily one of those old big 4 way lug wrenches fit on the end so I could get enough torque to free it up. It was a bit messier to change compared to using a fully disposable oil filter but not too bad and I think the second time will go smoother. I also realized we drive our vehicles so little per year that we're down to annual oil changes on each instead of at a mile threshold. I like using synthetic and Mobil 1 goes on sale with a rebate every 6 months so I've started buying ahead of time. I also found a bigger filter that fits on our other vehicle so I can get another 0.5-1 quarts of oil into it. The nice thing about changing them by calendar is that it is predictable and I can do it when I want to -- so I'll probably move both vehicles up to do it in the fall before it gets too cold. @Sclass I've read about doing the alignment that way -- I might just try this on our sedan. The inner edges of the front tires are wearing excessively (about the same on each side). I'm a bit disappointed as it is a fairly new car so having to align it seems odd to me but maybe it was never properly aligned. That hot glue tip is ingenious. Definitely adding that to my bag of tricks. I love new (to me) techniques that use things you already have. @Sclass I've read about doing the alignment that way -- I might just try this on our sedan. The inner edges of the front tires are wearing excessively (about the same on each side). I'm a bit disappointed as it is a fairly new car so having to align it seems odd to me but maybe it was never properly aligned. On a lot of economy cars toe is the only adjustment. Yeah, you could at least check the toe. Adjusting it is the next hoop. I was shocked my inner edges were wearing a year after I aligned mine but I am a spaz on the parking space stops. The car had so much momentum, even a little bump can knock things out. There are many other variants that use strings, carpenter levels, boards etc. that you can see on YouTube under DIY alignment. At least you can check if something is wrong. I’ll have to remember the hot glue disassembly trick. Good one. Hot glue is awesome in that the fix is so fast. Just finished reassembling a lawnmower engine. I’d heard about all these small engine repair videos and correspondence classes as a kid. I think my high school even had a class where you learned to rebuild a Briggs and Stratton mower engine. So this month I was digging around in my mom’s garden shed and found a mower with a bad engine. I tore it down and rebuilt it only referring to YouTube videos. It is a very simple engine and really doesn’t require any instructions because there are so few moving parts. I didn’t realize Tecumseh motors was a casualty of the recession and no longer exists. I was still able to buy new rings and main shaft seals cheap online. I think I’ll try to rebuild our wood chipper engine if this works out. I’m almost done. 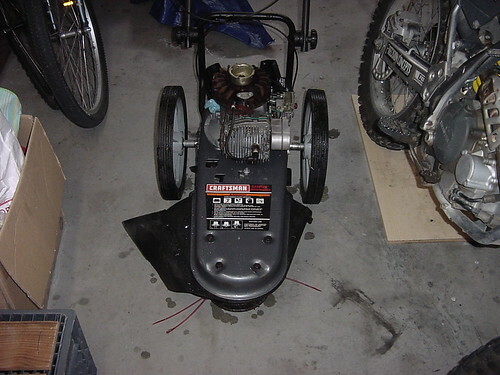 If you want to learn engine rebuilding an old lawnmower will educate you up to a point. If you buy an old mower at a yard sale the penalty of failure is nil. 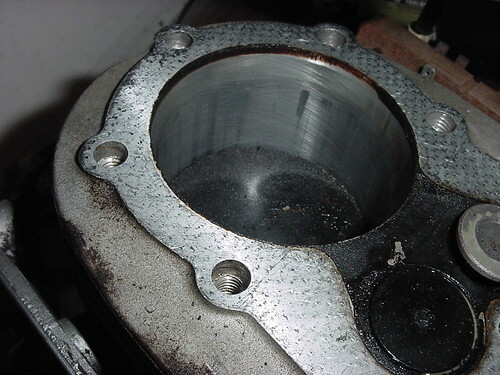 You can learn how to remove and install valves, piston rings. I did some heavy honing using the Autozone free tool rental hone. 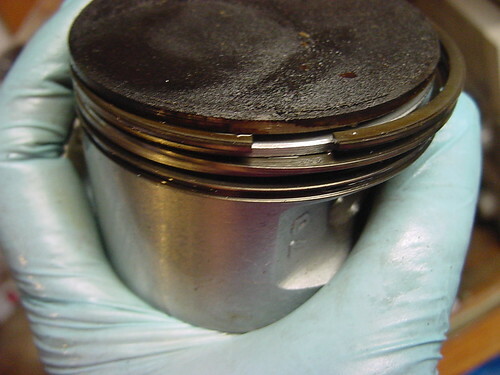 I installed oil seals, new gaskets etc. it really is an easy way to learn mechanics. One level lower than a motorcycle. You can wet your feet for cheap without much risk. 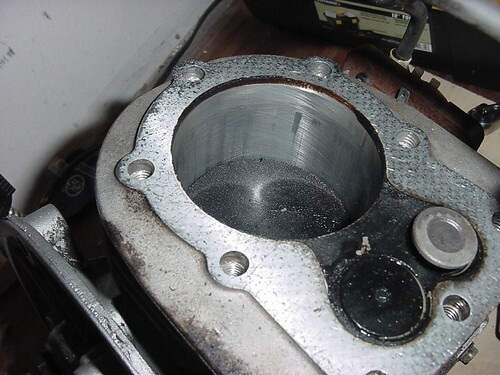 the photos showing the mower, top end inspection and damage to the cylinder. Bottom end tear down. 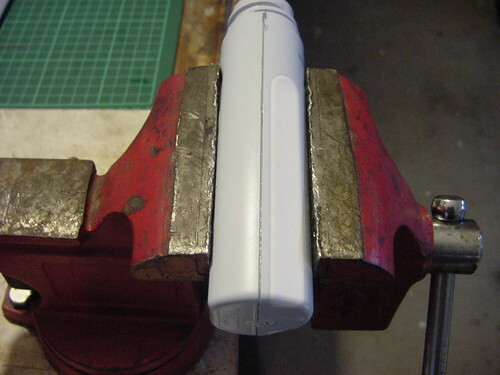 Honing process to remove scuffs and attempt to get cylinder somewhat cylindrical again. All this work can be done with inexpensive mechanics tools from China. A $28 set from Harbor Freight will contain all the screwdrivers and sockets required to take it down. The special tools like ring expanders, ring compressors and cylinder hones were rented from Autozone using the free tool rental program. Pretty low buck STEM education.